What is Integral Wealth? It’s the concept that your true wealth is not measured solely on your balance sheets. To be and feel wealthy, you must have some balance of money, health, happiness, and whatever else you may add to your list of “riches.” The people you love, your personal dreams and aspirations, your community, your body, your home, your planet. The Integral Wealth approach is focused on taking all of your “riches” into account. Integral: composed of parts that together constitute a whole. The original 13th century origin of the word wealth was a middle English word “wele” meaning well-being. This gets at the idea that wealth is about more than just money. I have been in the financial service industry for over 20 years. For a long time, I tried to use the tools given to me to help people set goals so that I could make the best recommendations. What I’ve found is that the more I can get to the heart of a person’s “Why” in life, the better road map I can build. The money part of the equation is just a tool. The ultimate goal is happiness and well-being. If you don’t know your Why, if you don’t understand your true wealth, no amount of money will bring you happiness or well-being. 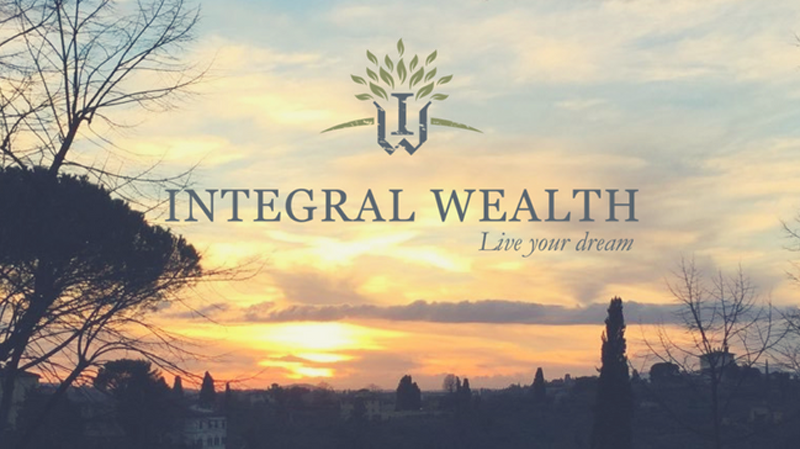 To help fill the vacuum, I founded Integral Wealth as a business and a model for wealth management. This model brings humanity into what is typically a sterile, unfeeling process. I've created the Integral Wealth Discovery Process™ to help our clients take an inventory of their true wealth and make a plan that enables them to enjoy that wealth. Keep in mind that true wealth is not paper with dead presidents’ portraits, shiny metal, or digits on a screen. These are representations of money. Money is a tool that is sometimes needed to free you to pursue your real passions. Other times it’s not as much about money as a reordering of your priorities that allows you time to spend with your children, take a walk in the park, or notice the beauty of the tree outside your window. Many people work all year long or a lifetime saving to enjoy the luxury of a vacation or retirement, all the while being too busy making a living to really live. Now that you understand the concept of Integral Wealth, I’ll ask you, what’s yours? What is your Integral Wealth? Email me at Carlo@IntegralWealth.net if you’d like to chat.